Bowling Alley Albuquerque: Why Bowling Shoes? At pretty much every bowling alley you could possibly go to, you won’t get very far without a pair of bowling shoes. What is it with these uncomfortable shoes that make them required to bowl with? While most people simply rent a pair from the bowling company, serious bowlers might have their own pair or even several pairs. 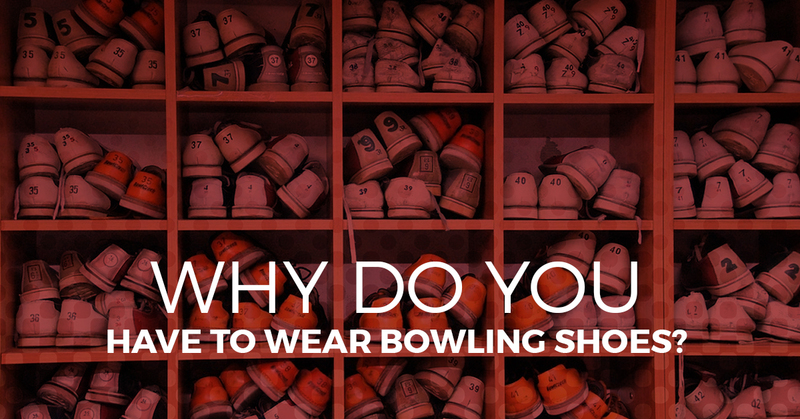 If you’ve ever wondered why you need to wear a specific pair of shoes to bowl with and how they help your bowling game, then this blog post is just for you! Our Albuquerque Bowling Alley Brings The Fun To You! At Lucky66 Bowl, we have plenty of bowling shoes for rent and for sale. We also happen to have some of the hottest bowling deals at our Albuquerque bowling center, so we encourage you to come down for a bowling birthday party, get involved in a bowling league, or just have a fun night out with friends. Now, without further ado, what’s up with bowling shoes? Without a doubt, one of the most important pieces of a bowling alley is the approach. This is the part of the lane that you walk on, leading up to the foul line, prior to releasing your ball. For optimal performance before throwing your bowling ball at the foul line, the approach should be flat, moderately slick and free of debris. When people wear their street shoes to the alley, there’s no way of knowing what kind of gross things that they’re tracking in – could you imagine getting stuck on a piece of gum just as you’re about to throw your ball? The floors are built to withstand the repeated impact of 16 pound round objects, so it’s not going to be very forgiving when you faceplant on it. Most bowling alleys also restrict food and drink to behind the lanes in order to eliminate any potential of sticky approach. It’s all about the approach, people. Bowling shoes are strictly worn inside bowling alleys, so, as long as no one takes their bowling shoes outside, the shoes are clean – not in terms of germs, but the soles are far more controlled than if they were exposed to the streets. Bowling shoes should be as smooth and flat as possible (could you imagine running in these? yikes. ), as any debris that finds it’s way to the approach could spell disaster for the innocent bowler. So, all things considered, bowling alley managers like us here at Lucky66 Bowl aren’t just trying to gouge you out of a couple dollars each time you come bowl. If anything, we’re just trying to keep our equipment in top shape while avoiding accidents and mitigating any potential danger for our customers – including you! And if we are making a couple dollars in the shoe rental process, then so be it, because we are a business after all. The next time you’re looking for something to do in the Albuquerque area, why not drop by our bowling center? Whether you have a party to plan, you want some tasty food and drinks, or you simply want to get your bowl on, Lucky66 is the way to go! Shoot us any questions here. Don't Have Bowling Shoes? Rent Them With Us Today!